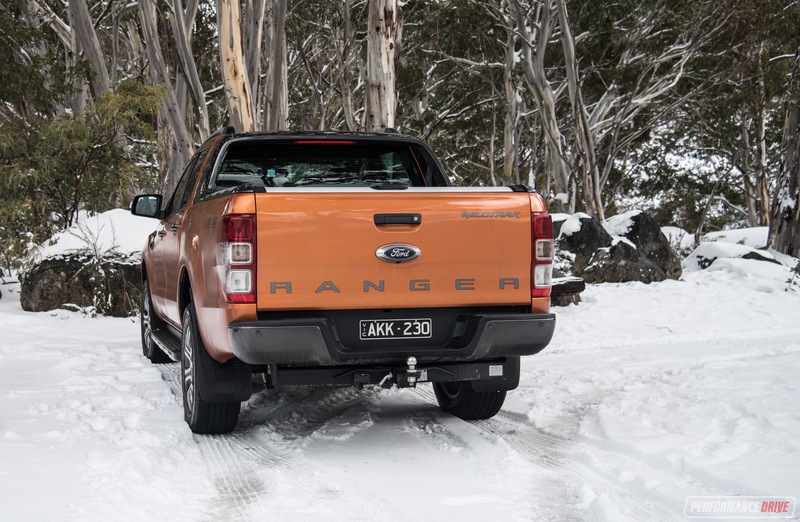 It’s arguably the most popular double-cab ute in Australia, the Ford Ranger, if you exclude fleet and government sales. 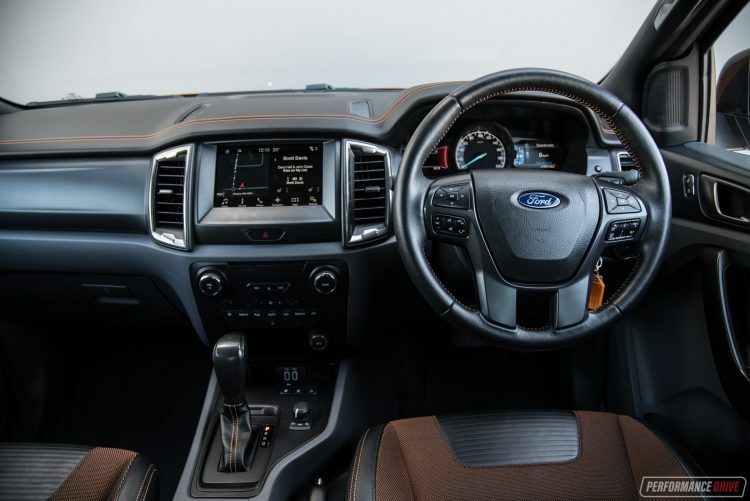 And in top-spec Wildtrak form it is easily one of the most desirable off-road trucks currently on the market. Does it have what it takes to push ahead of the top-selling Toyota HiLux? 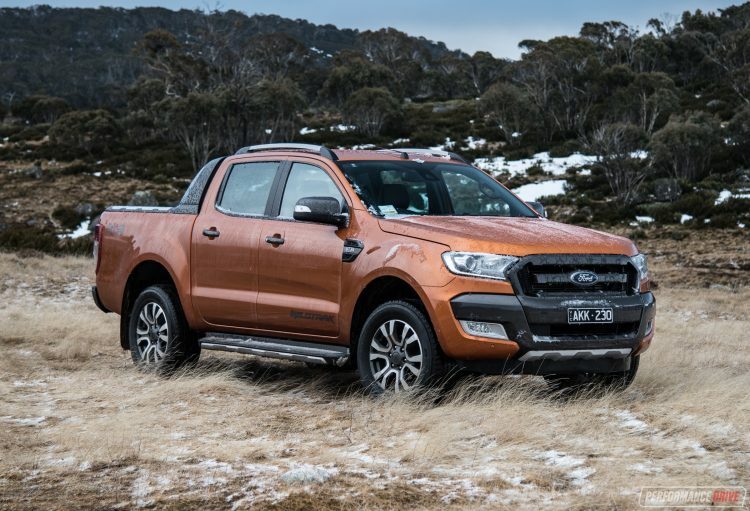 Ford Australia is doing great things in the increasingly popular ute segment. 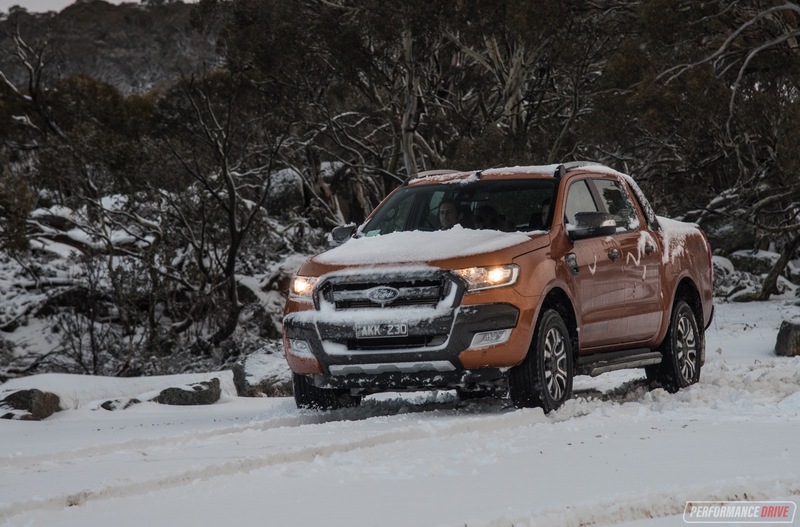 It jumped onto the bandwagon early by offering sporty, fashionable versions of its Ranger with the Wildtrak and earlier this year the FX4. 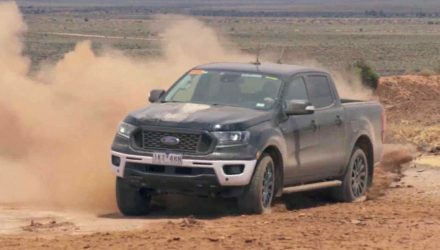 Soon, it will also introduce a proper Ranger Raptor performance version, probably as a result of watching its buyers converting the Ranger to look like the American F-150 Raptor – it arrives next year. Until then buyers have the Wildtrak. 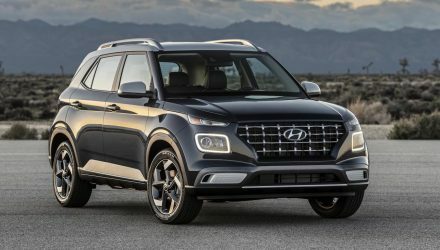 It’s the flagship variant and it comes with enough unique features to really separate it from the rest of the range, justifying the fairly high starting price of $61,790 for the auto, as tested (excluding on-roads). Going for the manual saves you $2200. At this price point it is one of the most expensive utes in the class; the Toyota HiLux SR5, for comparison, is priced from $56,390 for the auto, although it is perhaps not as unique compared with the rest of the HiLux range in comparison to the Wildtrak and its range. Only the Volkswagen Amarok V6 Ultimate is priced higher (from $67,990) – the upcoming Mercedes X-Class is likely to push the price ceiling even higher again. We get the feeling buyers in this class aren’t all that worried about prices. 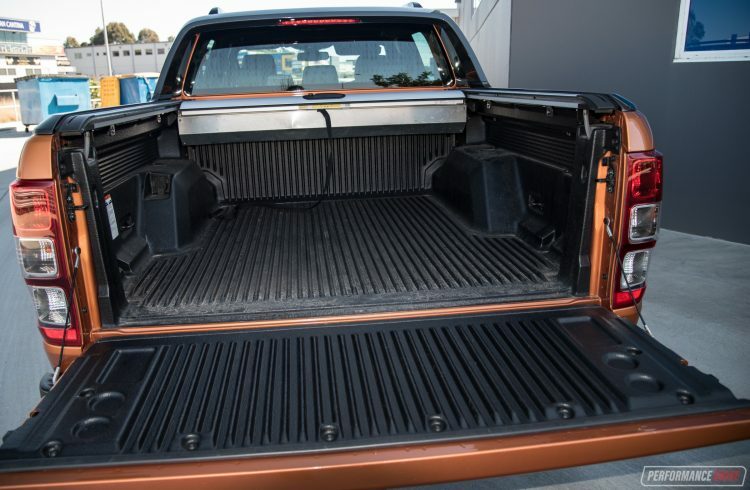 If you’re after a top-rung double-cab ute with all of the bells and whistles, around $60k seems to be fairly standard and acceptable. 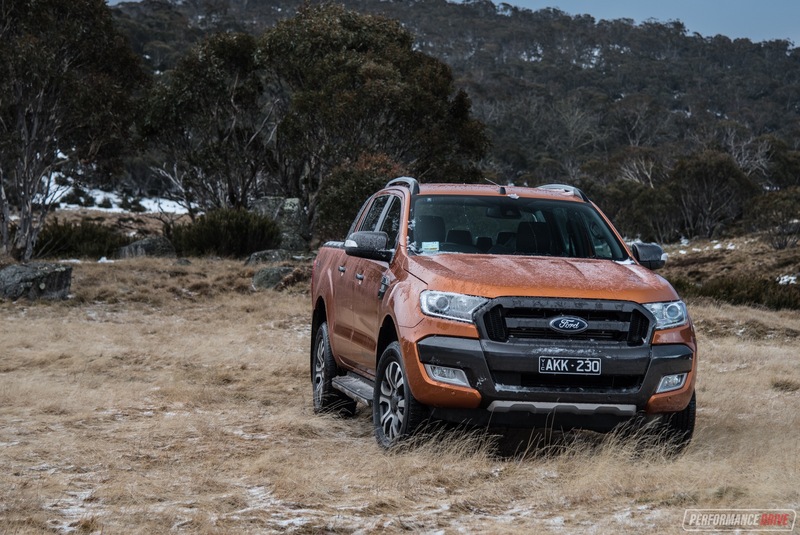 Fortunately, Ford has gone to great lengths to make sure the Wildtrak is a lot different to the lower-spec variants. 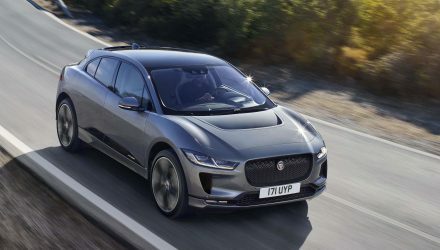 The body uses the same design but it’s presented in a more enticing two-tone colour scheme, with a dark grey front fascia and grille area, matching side mirrors and rear bumper, with some aggressive bash-plate-style detailing under the front end. This all does well to accentuate the Ranger’s chunky and muscular proportions, giving it big presence on the road. 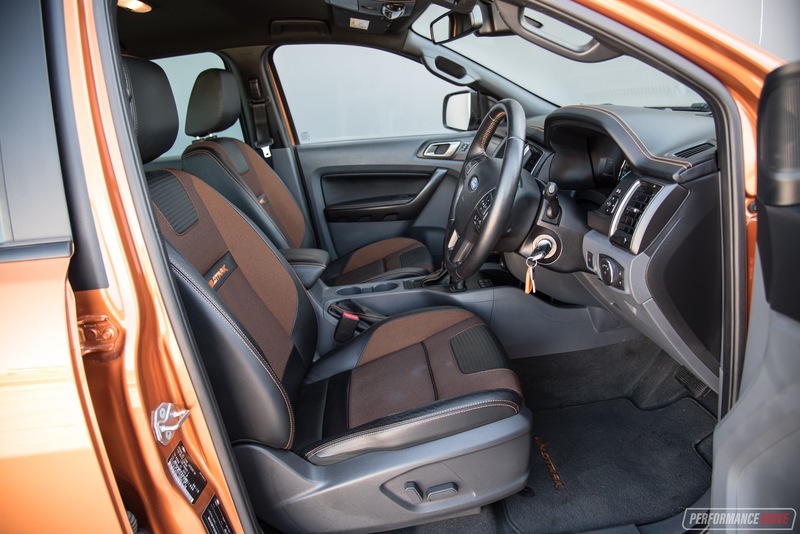 Inside, the Wildtrak gets hip-hugging sports seats in the front with orange-highlighted mesh-like trimming, with matching upholstery for the rear bench. Accommodation is excellent, with plenty of headroom and legroom in the front. 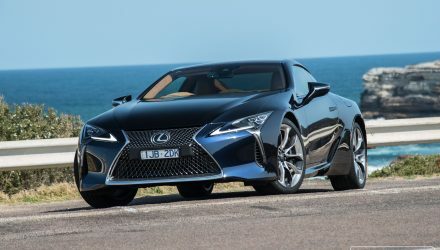 It also offers one of the best driving positions in the class, a good spread of storage options including a centre console box and two cup holders in front, bottle holders in all doors, and two USB ports in the front and an Australian power socket (230V/150W) and 12V outlet in the back. 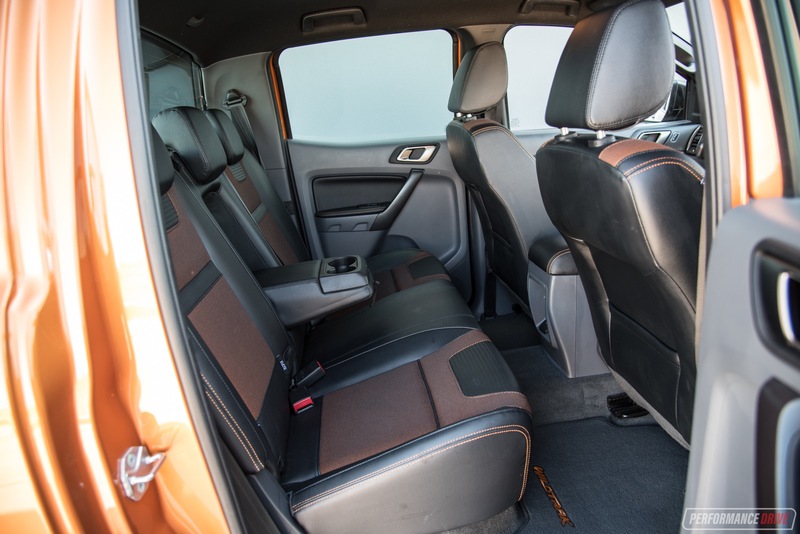 Rear seat space is pretty good for the class, too, with a relatively wide bench providing decent shoulder space. 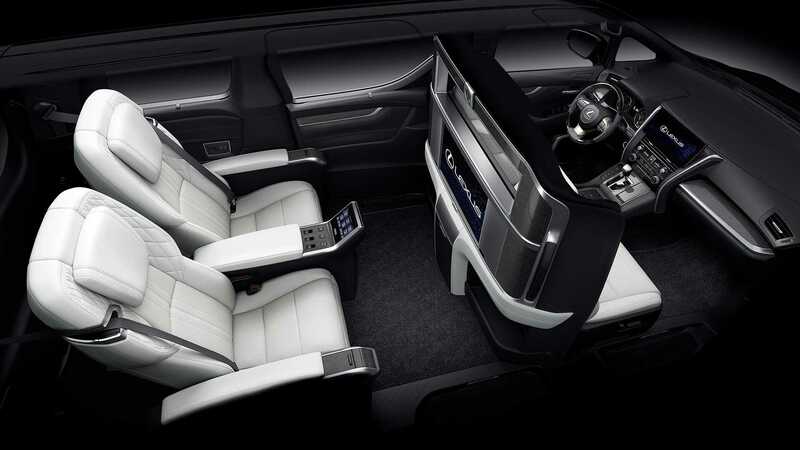 There are no climate vents in the back of the centre console, but there is a flip-down armrest with cup holders so the rear passengers can enjoy refreshing beverages. Behind the folding bench is more storage space and a trio of child seat anchor points. Bespoke as they might be, the floor mats are carpet and aren’t going to be as durable as the full rubber mats you can get in some rivals. Obviously, this can be fixed pretty easily. Ford hasn’t done a very good job on the interface layout and functionality of the cabin in our opinion. 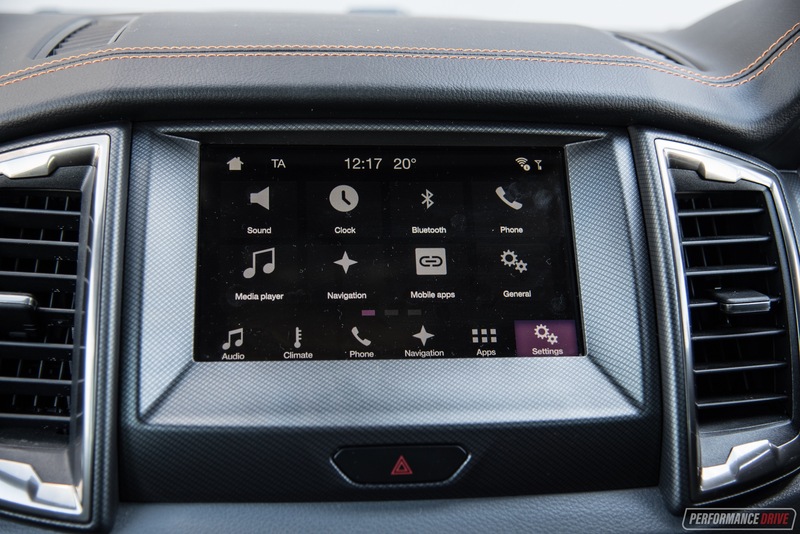 The SYNC 3 touch-screen, packed with digital radio and sat-nav, is a bit of a mess, frankly. Black is used as the screen background, with no real distinguishing tones or highlights to help separate the menus and apps. 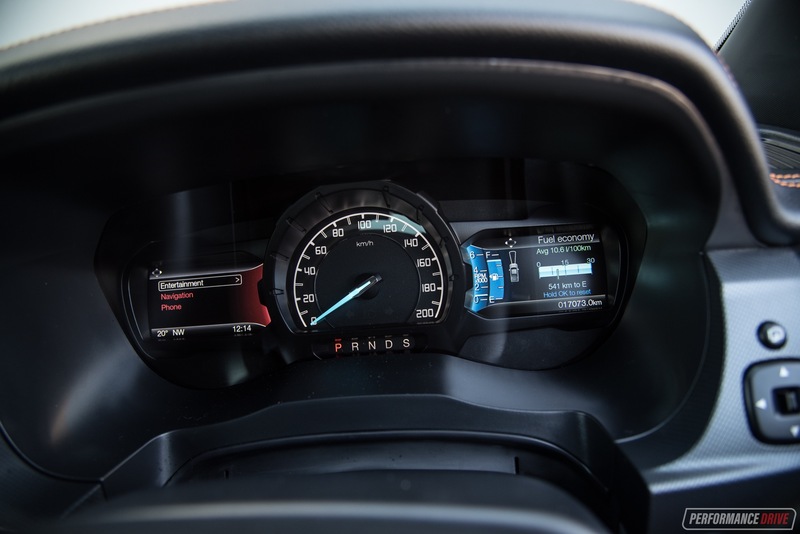 There are also around 22 different buttons on the steering wheel, with little LCD screens mounted within the instrument cluster. It can be a nightmare to interpret all of the information that’s presented. 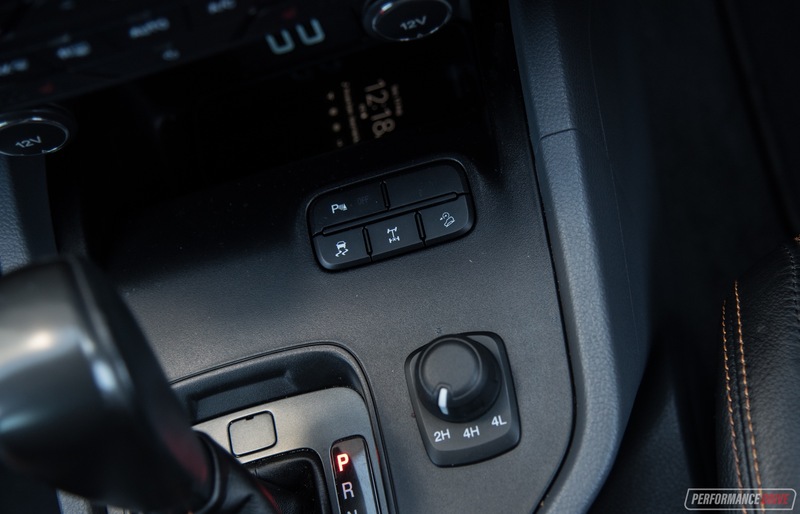 You have the option to display the sat-nav, driving status, audio track and even squeeze in a tacho into the cluster. 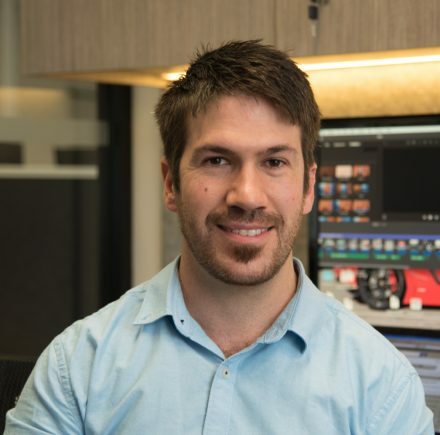 To jump between the different layouts you need to use the four-way pads on either side of the steering wheel, for the left and right LCD screens. All of it can be overwhelming, although the speedo is more palpable, looking like it’s lifted from the Focus hatch. Oddly the side mirror adjustment toggle is mounted on the dash, throwing another adjustment function in front of the driver’s eyes. 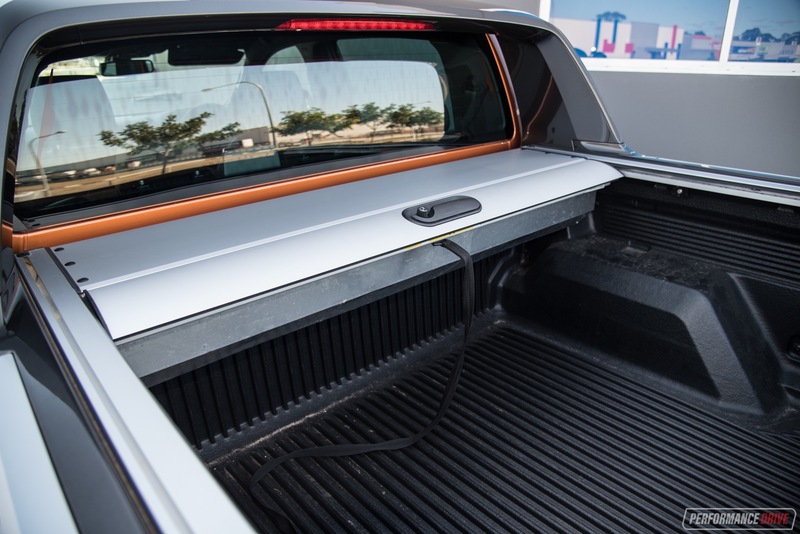 As for the tray, the Wildtrak comes with a very handy roller door shutter that can be pulled over the entire tray and locked to keep valuables secure. 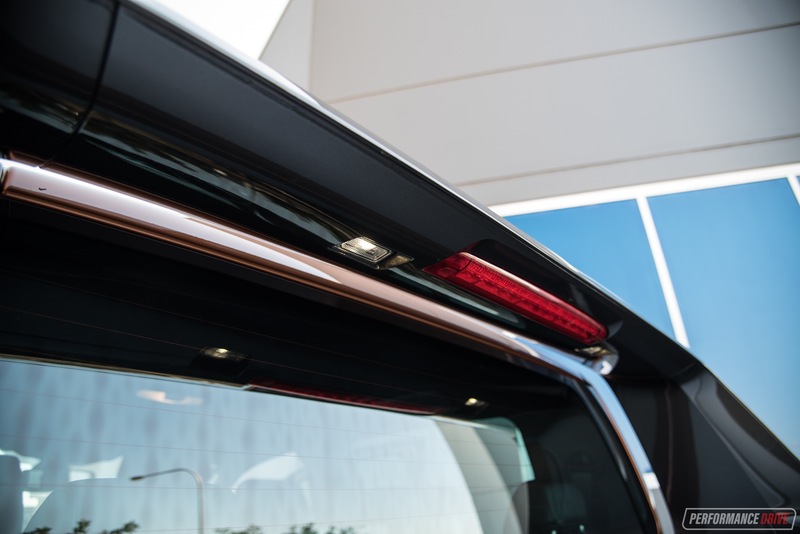 It does provide decent weather protection too, so you can store reasonably sensitive goods back there. 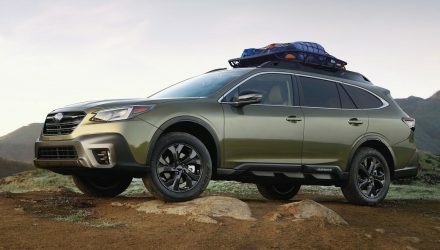 This is a much better solution than the hard-top covers that some utes offer as you can keep the tray completely open and carry an upturned wheel barrow, for example. There is no limit to object height, in other words. 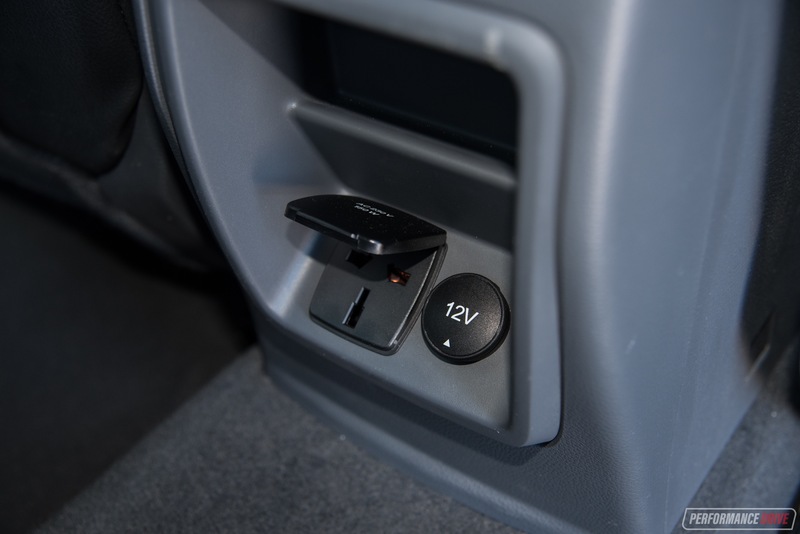 Ford has even fit a tray light and 12V/20-amp socket in the tray, with a tough plastic tub-liner and tie-hooks for added practicality. The tray opening is 1330mm wide, with 1560mm overall internal width (1139mm between wheel tubs). The bed floor measures 840mm from the ground, and along the tray floor the length is 1540mm, making it one of the biggest in the class. Out on the road the 3.2-litre turbo-diesel five-cylinder engine is really smooth and quiet, particularly for a five-cylinder. 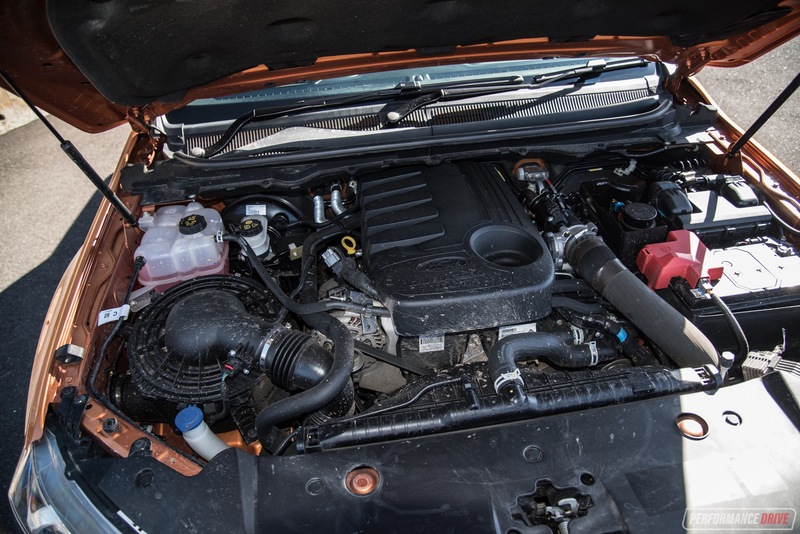 It produces 147kW and 470Nm, which, surprisingly, isn’t at the top of the class; the 2.8 Holden Colorado delivers 147kW and 500Nm, with four cylinders. Nonetheless, the five-pot offers loads of grunt in most areas of the rev range. 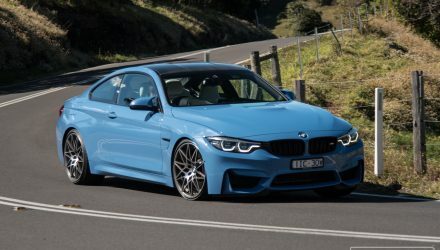 Throttle response is immediate, effortlessly building up to highway speeds. 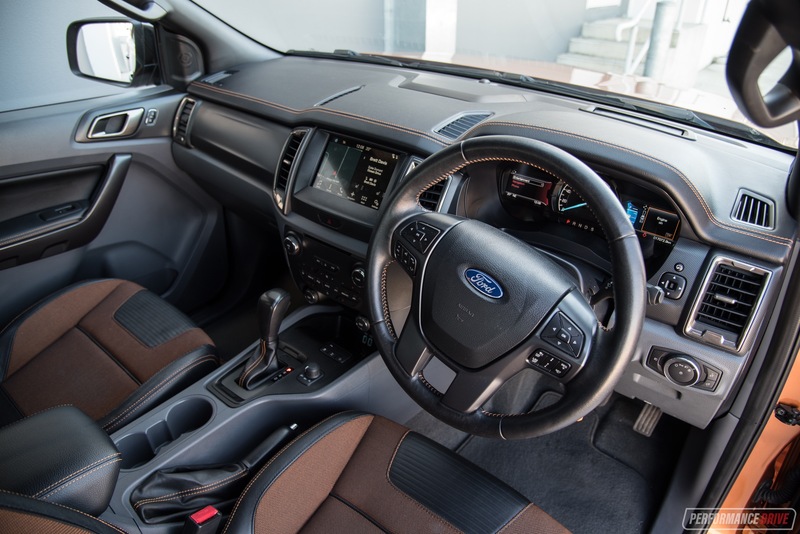 In such conditions the Ranger is a relaxing and comfortable cruiser, with good gearing to support quietness, and distance-adjustable radar cruise control as standard on the Wildtrak. Around the bends the Wildtrak is easily one of the better-handling utes on the market. It possesses no body roll or excessive dive under braking, and the steering is playful and communicative enough for this class. The steering is nice and light actually, making it very easy to manoeuvre in carparks and such. 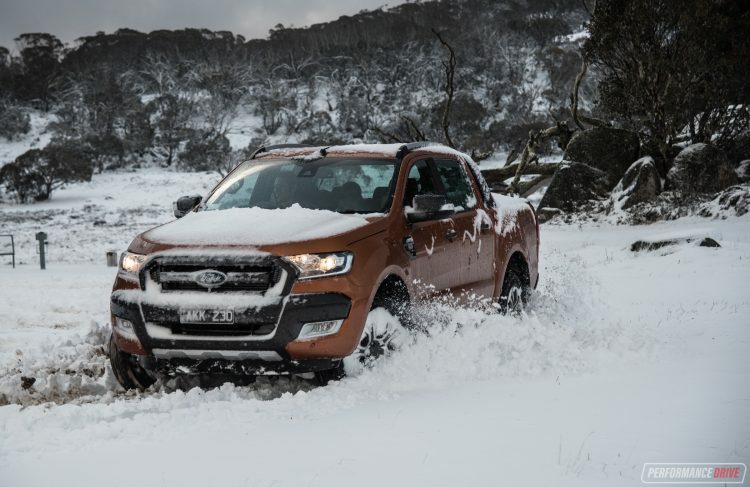 In that respect, anybody can confidently drive the Ranger without feeling intimidated by its imposing external appearance – it’s a friendly giant. 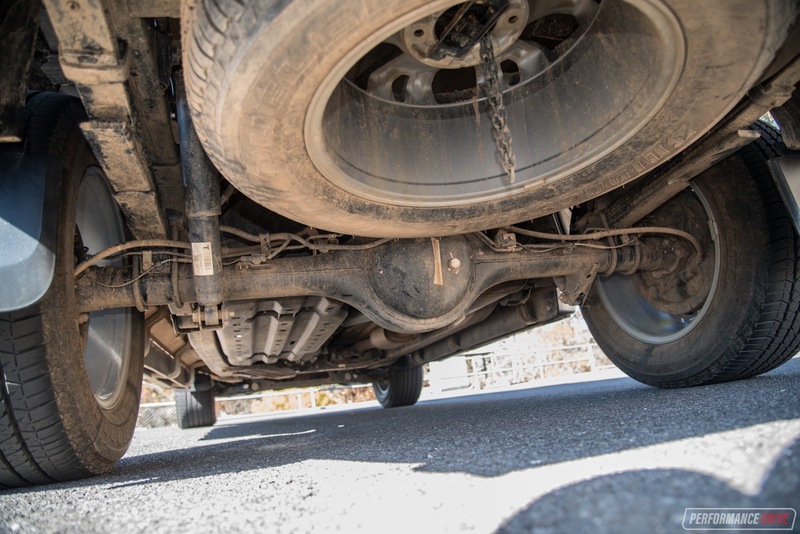 Ride comfort is not too bad despite featuring a tight leaf spring setup at the back that’s capable of supporting 907kg (950kg payload for manual), and a towing capacity of 3500kg (gross combination mass 6000kg). 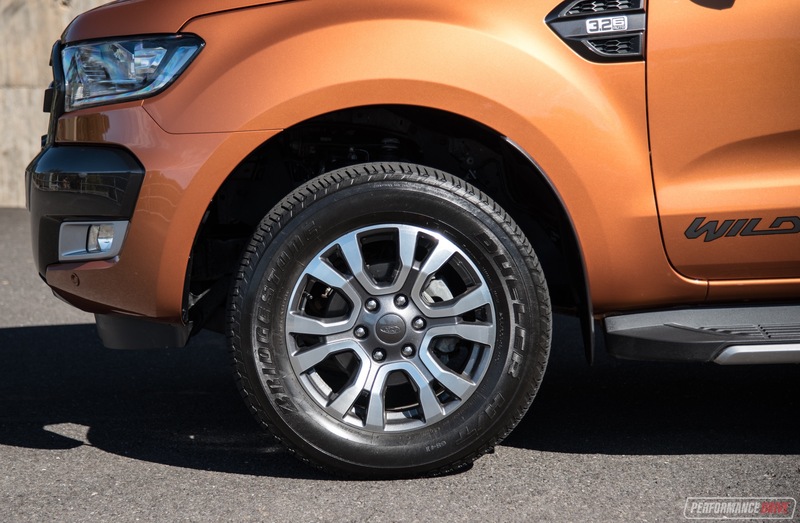 Some of the initial bump is absorbed by the tall 265/60 tyres mounted on 18-inch alloy wheels, but overall the ride quality in the front is more than acceptable for a proper 4×4. It is firmer in the back but it’s far from the most uncomfortable double-cab ute in the class. 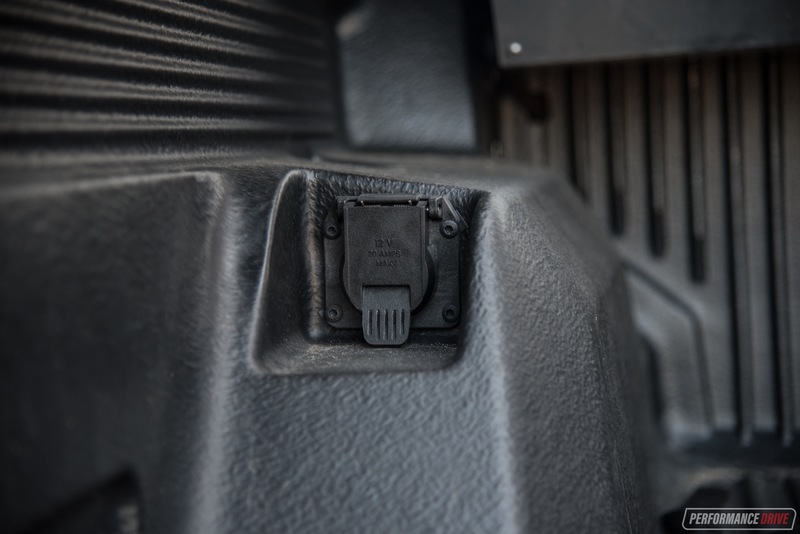 To help the Ranger Wildtrak get through tricky terrain there is a switchable rear differential lock, using 3.73:1 final gearing. There is also a two-speed transfer case with high and low range. High range is straight through 1:1, while the low range steps it down to 2.717:1. 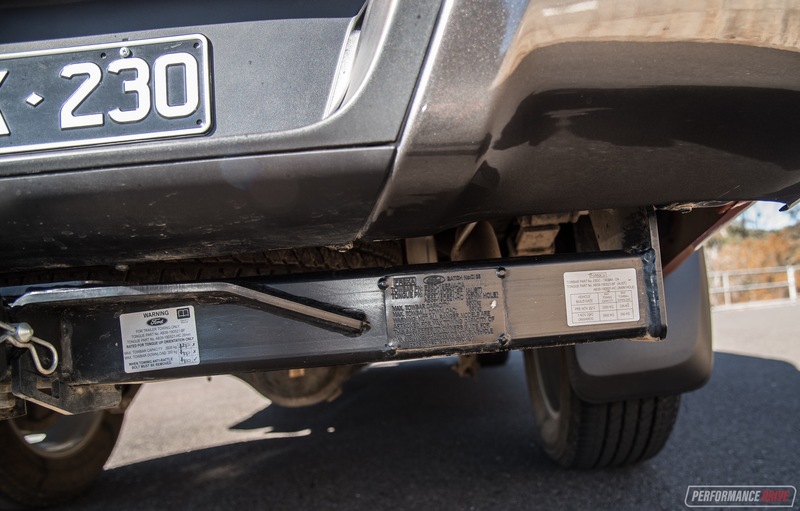 Ground clearance is measured at 237mm, which is more than enough for dirt road adventures and semi-serious off-road tracks, with a water wading depth of 800mm. 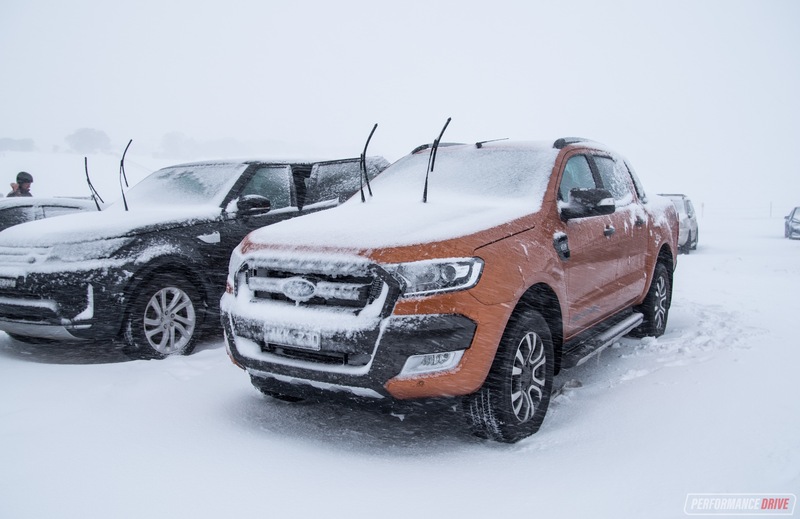 In slippery snow conditions the Wildtrak performed brilliantly during our test. 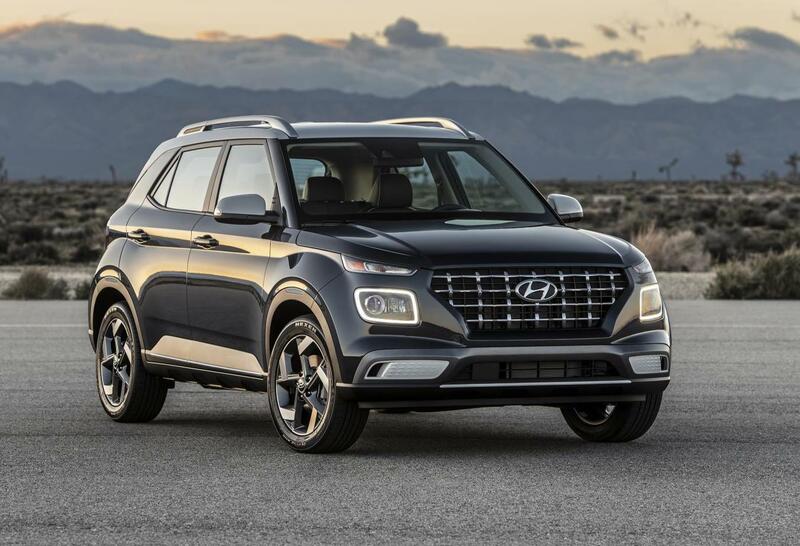 It drives a bit like a tank off the road, barging its way through, over, and across anything. We did experience some single front wheel wheelspin at times, even with the rear diff lock engaged. However, switching to low range helped pull it through anything we could throw at it. The weakest point off road would have to be the side steps which do hang down quite low, although they don’t physically hinder progress. 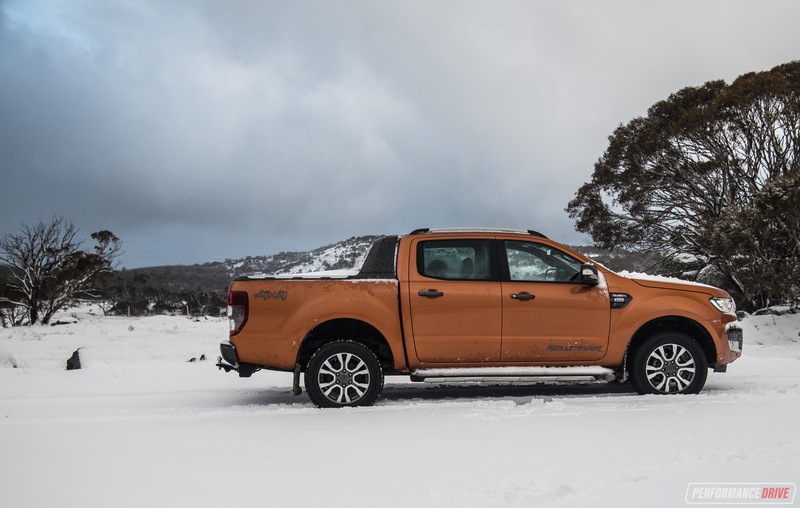 We can see why the Ranger Wildtrak is so appealing to so many buyers. 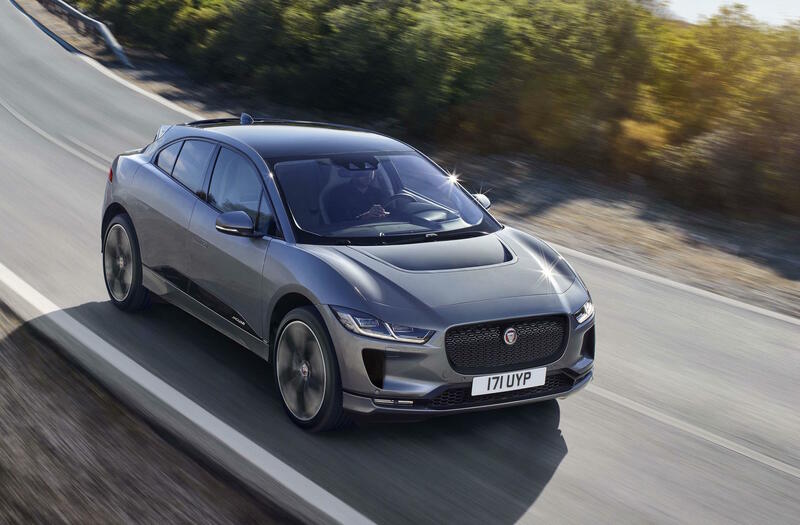 It definitely looks the part and it packages in the largest-capacity diesel engine in the class. 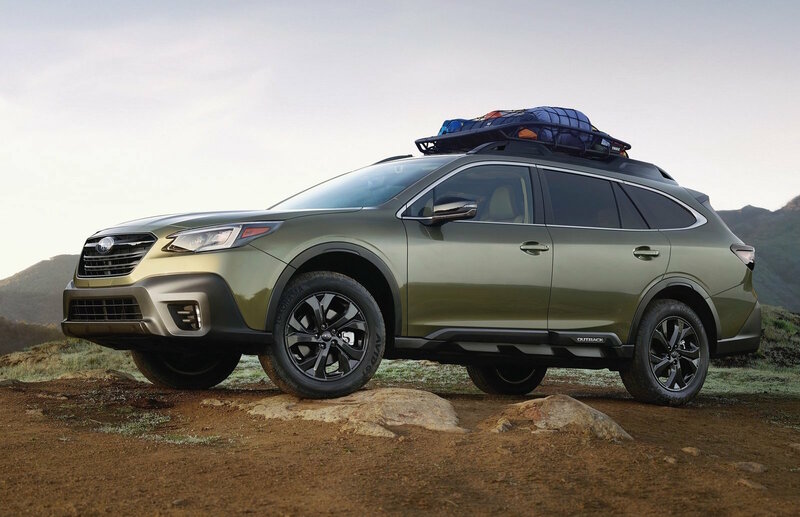 Buyers will enjoy the exciting interior highlights, and passengers will appreciate the high level of connectivity, space, and storage. It’s worth noting this is one of the quietest diesel trucks we’ve tested as well, so it is perfect for family use. 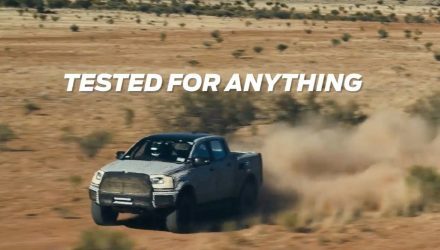 We’re eagerly looking forward to the Ranger Raptor. 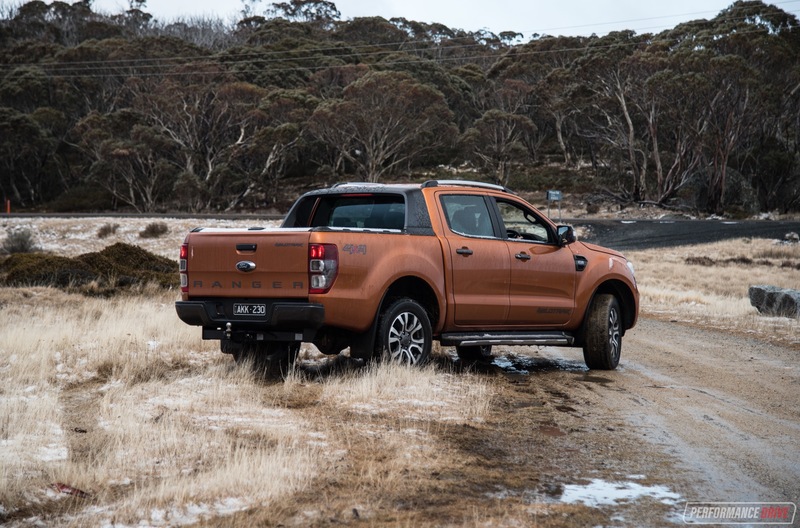 If the Wildtrak is at a standing of about 9 out of 10, the only way is up for the Raptor. Bring it on.